Recent trends in environmental regulation include fundamental changes in direction in a number of areas. The presentation focused on those areas that will have the most impact on US business. First, the U.S. Environmental Protection Agency (EPA) has announced a desire to shift more authority and independence to states for federally delegated programs (primarily Clean Air Act, Clean Water Act, and hazardous waste management). Solving the question of “who does what?” between EPA and the States may benefit business by increasing efficiency, creating greater certainty of requirements, and better defining whether EPA or the State is the appropriate agency for given situations. Second, regulatory reform and roll back has been an ongoing focus area by EPA since the current Administration took office. Progress has been slow in this area for a number of reasons which were discussed. Finally, a change in emphasis by EPA on its approach to enforcement is taking shape and will change the way EPA gains compliance with regulations. EPA and State Roles. Current discussions between EPA and the Environmental Council of the States (ECOS) will result in a shift in how environmental programs are administered in the US. ECOS is the national nonprofit organization representing state environmental agency directors which has been pushing for states to have greater autonomy in implementing federal environmental programs. An effort promoted by ECOS called “Cooperative Federalism 2.0” outlines how this shift will occur with EPA allowing States independence in day to day implementation for issuing permits, conducting inspections, and assuring compliance. Impacts on business will be a greater presence of state agencies with a reduced role of EPA which should address confusion for businesses sometimes caught answering to both agencies. One consequence that businesses should consider and plan for is that programs that are directly implemented by EPA will likely see greater activity. This would include matters such as Risk Management Plans; other chemical safety requirements; Spill Prevention Control and Countermeasures plans (SPCC) for oil spill planning; and several other federal programs. Regulatory Reform. From the outset of the current EPA Administration, regulatory reform and reduction of burden on business has been a priority. Some controversial rules such as the definition of “Waters of the United States” as well as a host of other proposals have been the subject of EPA efforts to withdraw or re-write regulations. To date, there has been limited success due to the legal complexity of withdrawing regulations and policies. Nevertheless, there is an ongoing effort to meet this goal and that effort will continue. The regulatory agenda recently announced by EPA includes a long list of proposed reforms. Business should expect slow movement on actual withdrawal of regulations but should not see much in the way of of new regulatory actions by EPA. Enforcement. EPA has changed its emphasis on enforcement as a goal to instead focus on compliance as the goal. This emphasis views formal enforcement actions as merely one of the tools to gain compliance. Arguably, in the recent past, EPA’s goal has been to initiate enforcement actions upon discovery of violations in an effort to coerce compliance and deter similar behavior in others. EPA has now stated that it is more concerned about fixing identified problems and quickly getting back into compliance than it is about taking enforcement actions. The shift may seem subtle but it is significant and has immediate impact. Businesses should expect a different approach when inspections are conducted to include more consultation on how to quickly fix problems. When EPA does an inspection, business should see an EPA focused on outcomes with an emphasis on quick resolution and a fast turnaround on inspection reports in order to bring closure to issues. This does not mean that EPA will abandon enforcement but EPA clearly has signaled that compliance assistance will be an option if it fits the situation. Although these measures have much support and promise, EPA’s proposed approaches to environmental programs have been met with criticism from a wide array of observers. For example, advocacy groups have concerns that states will not be aggressive enough in enforcing the programs and that without EPA’s presence or threat of enforcement there will be a decline in compliance rates. Another comment from some business and industry is that, while supporting the overall approach, there are concerns that increased state discretion in running programs will lead to a patchwork of interpretations and processes across the US making it difficult to understand various state approaches. This is especially applicable to companies with locations in multiple states. Another general concern is that significant changes will be made only to have the next administration alter the approach again creating a “whipsaw” effect on how the programs are implemented. Many changes are in the works in how environmental regulations will be administered and over the next two years there will be a continued effort to implement the changes. 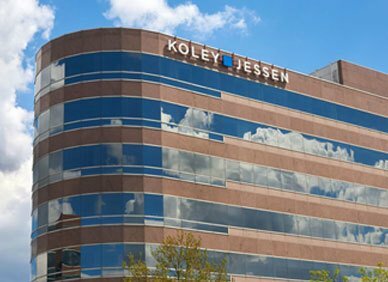 Koley Jessen will continue to monitor this activity and would be happy to discuss or consult how the changes may impact your business.